For the treatment of ear mites in dogs, cats, puppies, and kittens. 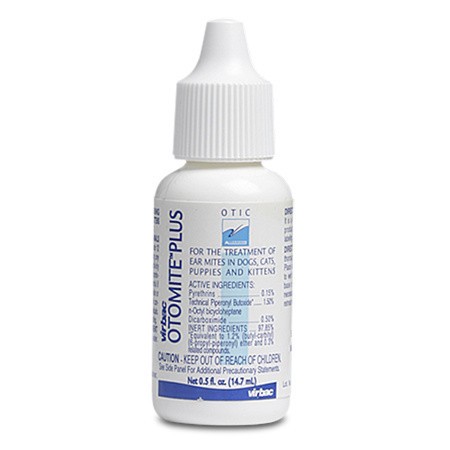 Otomite Plus eliminates ear mites without irritation. Contains double-synergized pyrethrins in an olive oil vehicle that penetrates the stratum corneum and is miscible with sebum.